Today, i was thinking to share my complete experience with Simply Straight hair straightener brush. 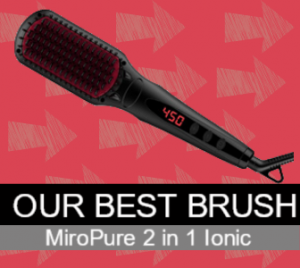 Here i am, as i consider Simply straight ceramic hair straightening brush as the best one in 2019. There must be something that you may not know about this brush. And that’s why i put this on my list. Well, Simply straight can get you the more long-lasting, modern and straight look. With a short amount of time, it can transform you into a beauty. The JML company, makers of Simply Straight, offered us an additional brush variant known as Simply Straight Professional Pro. You can consider that Pro one has more features, but with a slightly higher price. So let’s find out what these hair straightener brushes got for you. And are you getting what you are looking for. 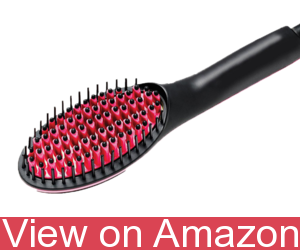 Simply Straight heated ceramic brush comes with a lot of features. But not just a list of features but with safety too. The design of simply straight straightener is more cool, and, it looks like Simply Straight as seen on tv. All the features combined make it one of the best. The design of it was to make sure that, it is a perfect brush for people who are always on the go. People who travel a lot like me. Because the smaller size makes it easy to put anywhere. In bathroom, your travel bag, hotel room or wherever you feel OK. When i opened the box of simply straight straightener brush. The brush gave the most attractive look to me. It’s design with three simple buttons make it easy to use. These three buttons include the power and the temperature buttons. The small LCD screen on this brush helps you to notify the temperature. The lightweight design of it gets you complete comfort when using. Simply Straight hair straightener works perfect for almost every type of hair. You may find some of the customers saying. It won’t work best for Afro American hair. But you can find other suitable brushes for that. Otherwise whatever your hair type is, simply straight straightening brush can be the perfect solution. Simply Straight hair straightener is an easy-to-use tool. A tool that comes with a perfect lightweight design. That can get you comfortably the straight hair. The bristles and the body of Simply Straight hair straightening brush, they both are made of plastic and gives a good touch. There is a rounded tip on every bristle of simply straight. That’s what helps the brush not to pull or hurt your hair. If you are thinking about its color, well that is black and i love this color. A color that can suit in any surrounding. There is a range of temperatures too, a range from which you can choose according to your hair type. Now to read which temperature setting you are working on now, there is a LCD Display installed on simply straight. You can keep an eye on the temperature through that. At last about the shape, it contains an oval head. And the overall dimensions are 11×2.8×6.5 inches. How to Use Simply Straight? I consider this part of my simply straight review an important one. That is how you are going to know about how this brush works! There is a maximum temperature limit in Simply Straight of 450°F. The higher the limit of temperature, the long-lasting straight hair you can get. This much temperature it can reach easily in 2-3 minutes. That’s what makes it more amazing. The total weight of Simply Straight is 15.2 ounces which makes it lightweight. The swivel in it makes it perfect to use in any bathroom or the dressing table. And the cord length of it is six feet. Now what i think is that Simply straight is a perfect solution. With it’s temperature settings of 450°F. No matter what your hair type is, you are going to get the best results. Perfect for thicker or curlier hair. The low temperature settings can be used for wavy or thin hair. Now let’s talk about the heating surface of it. The heating surface has an anti-scald design and an unheated outer row contains soft plastic bristles are there. This row helps you to move the position of your hair when giving heat. The built-in safety feature in Simply straight is it’s auto shut-off feature. Feature that turns of the straightener after 60 minutes when you are not using it. And by going to the stand by mode, it will automatically begin cooling down. With that you are going to save more electricity and reduce the danger risks. The surface of the heating element of it is made of Ceramic. That provides you the uniform heating, which means there won’t be any hot or cold spots that could affect the final result. Ceramic can also be used and considered to be safe for hair. That reduces the risk of burning hair and results in an over-processed look. The ceramic bristles in it are three dimensional in shape and they are 1/2 inch in height. Now you must know that Simply straight is specifically made for primary use in North America. And can be operated on 110 volts AC. If you want to use it in other countries, an inexpensive converter will be required. You must stay careful using simply straight. Because the buttons of temperature control in this brush is located on the outer side. This could cause an accidental change in temperature and can even increase it. Though simply straight straightener is an economical, and a great hair straightening brush. Provides us an easy and fast way to get sleek and straight hair. Let’s move now to the in-depth pros and cons of the simply straight. Simply Straight hair straightener is specially designed to operate with 110 volts AC. So, you can’t use this brush worldwide in any country. But you can use it by using a converter which is inexpensive. I tried so hard to give you the complete information about simply straight brush. And i considered every single part of this brush necessary to put it in this guide. 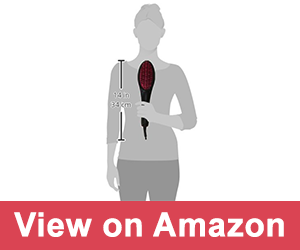 Now this simply straight hair straightener brush review can help you in deciding, whether you want it or not. I hope that you will enjoy this brush as much as i do. If anything else comes up in your mind, you can simply ask me using the comments.